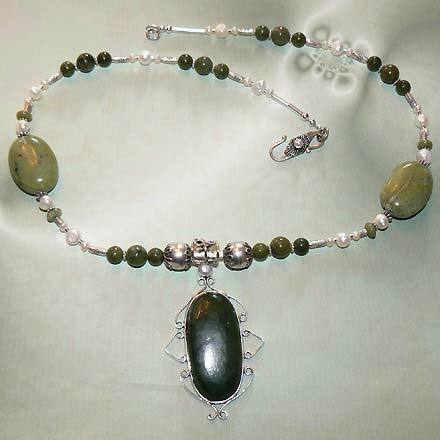 Sterling Silver Jade and Freshwater Pearl Necklace. See Closeup. 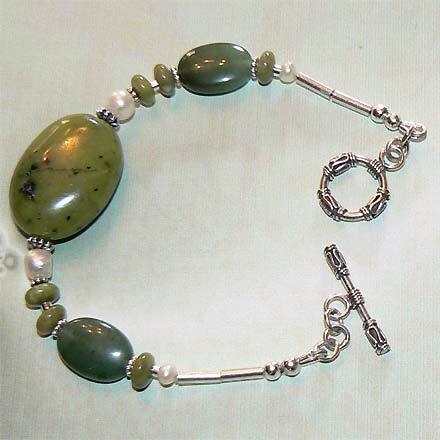 Sterling Silver Jade and Freshwater Pearl Bracelet. 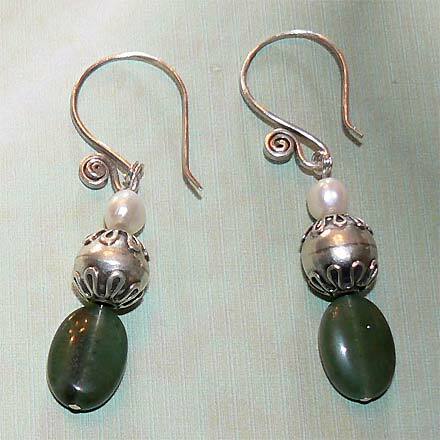 Sterling Silver Jade and Freshwater Pearl Earrings. 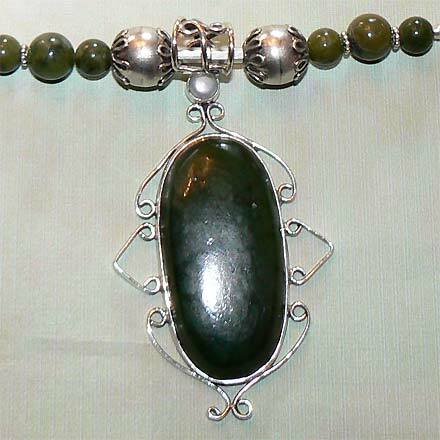 The combination of green Jade and white Pearls give this a luxurious Asian feel. Necklace also comes with a Pearl clasp. For those who are interested in Astrological significances of stones, Jade corresponds with Libra, and Pearl is associated with Gemini and Cancer and the month of June.